2. 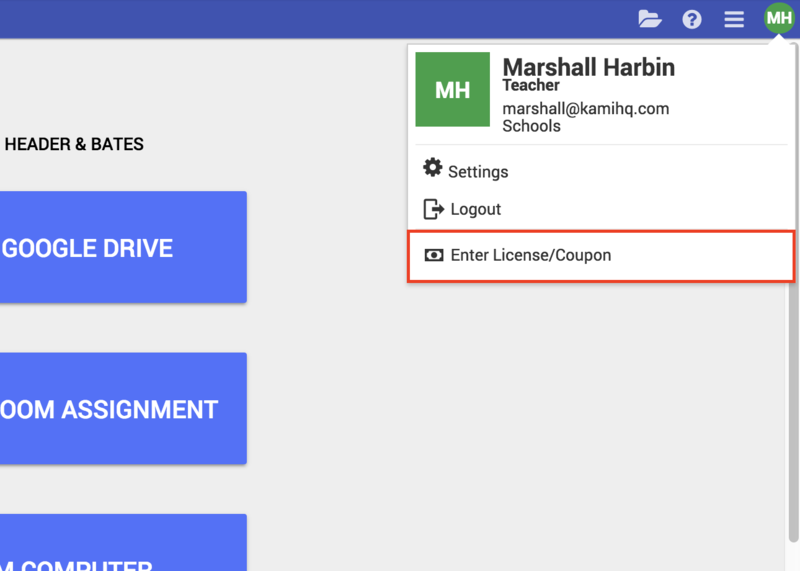 Click the the Profile button in the top right corner, then click the "Enter License/Coupon" button. 3. Enter the code in the dialog and select "Apply"
You should now see your Kami account change to reflect the upgraded license. By clicking on the Profile button again, you should see the license information, as well as it's expiry.